First off I love the functionality of this product, not only is it a breathable well fitted piece of kit, but the designers had the forethought to include a discreet back zip pocket - ideal for keys and a bank card. I went for run in the early morning sun and reaching the Cornish hills (6 km from home) I was beginning to get a bit of a sweat on. The fabric drew the sweat away from my body keeping me cool and allowing me to run freely and comfortably. Sundried is a responsible brand organically grown by people who are care. We are all athletes ranging from surfers through to triathletes or just fitness freaks. We have a shared passion of the outdoors and training. 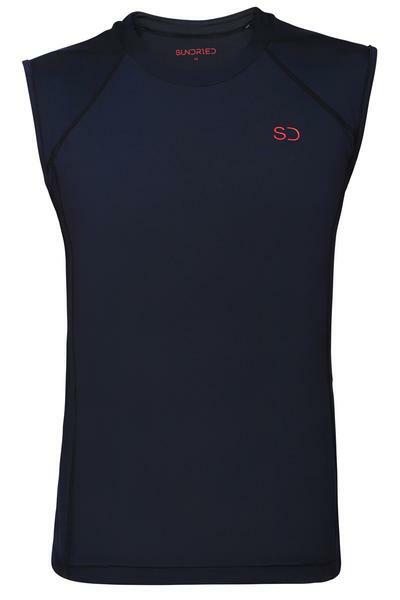 Sundried is a premium ethical activewear brand for men and women with a heritage in triathlon and outdoor pursuits. Our clothing is hand made with premium fabrics and materials. Our designers have designed for the world’s best activewear brands. We are mindful of the environment and people in our supply chain every step of the way. Sundried fabrics and materials are responsibly sourced and we give 5% of our revenues to charity, currently Water for Kids, in a way that engages our customers. As I continue to build my Triathlon running and I look forward to my next run with my Sundried kit, the quality is far above pretty much every piece of kit I own. Sundried respect the natural surroundings and produce our products ethically in partnership with The Low Carbon Initiative. 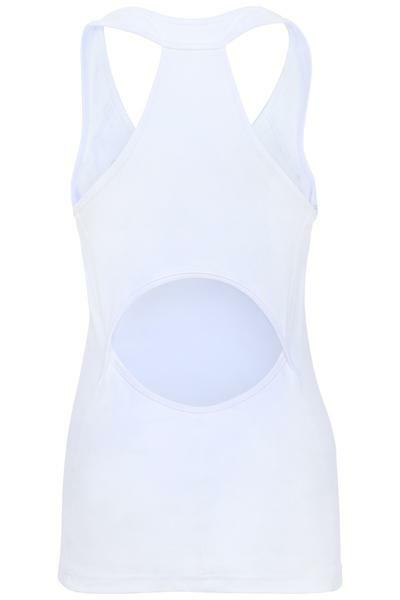 Inspired by the beauty in simplicity, this is the perfect base for all activewear outfits, ready to sweat in style. The Breithorn bra offers medium support for multi-sport training up to a C cup. Designed with moisture wicking, breathable 4 way stretch materials that lock down movement and support your sport. The mesh racer back allows extra ventilation during tough sessions enhancing full range of motion in a flattering and supportive fit. Make a statement by revealing a dash of the aurora red colour through our Tour Noir Tank. Inspired by being out there doing it differently, the Tour Noir Tank fuses the dramatic scenery of nature's own gym with urban skylines and sleek stylish design. Style meets mobility with the mesh racer back and unique cut outs engineered to provide the ultimate ventilation and freedom of movement. Crafted from sweat wicking, quick drying and supportive fabric. Perfect teamed with coordinating leggings and layered with the aurora red Breithorn Bra. Inspired by the peak of Mount Ruinette, these tights are designed to be a cut above the rest, with a streamlined fit to create a smooth, aerodynamic silhouette and 4 way stretch fabric for complete freedom of movement. Featuring an elasticated and drawstring waist for a completely personalised fit with flatlock seams for added comfort. Keep safe with reflective strip lining to the thighs to enhance visibility and a secure back pocket for valuables. Elasticated waist with drawstring for an adjustable fit. Secured zip pocket for valuables. 4 way stretch materials for freedom of movement. Reflective strips for enhanced visibility. Stay true material, for long lasting colour and fit. Inspired by the highest Swiss mountain The Dom is designed to embrace physical demands and push your performance, with all the features you love from The Dom T Shirt, plus the freedom of being sleeveless. Four way stretch materials with flatlock seams provide a streamlined athletic look, featuring sweat-wicking technology to keep you cool and comforted when you need it most. Your safety is a priority with a zip fastening back pocket to hold valuables and reflective shoulder strips to light the night. Inspired by sleek city skylines The Roteck Legging features a streamlined fit for optimal movement with flatlock seams and moisture wicking materials to provide prolonged comfort, so you can concentrate on your performance. An elasticated waistband and drawstrings allow for a personalised fit, with a hidden inside pocket to keep small valuables safe. Reflective cuffs line the ankles for increased safety and confidence in low light conditions. Reflective ankles for enhanced visibility. Inspired by the warmer climates of Australia, home of the Furgler summit, the Furgler shorts are designed to provide a comfortable, cool fit. Tailored to sit just above the knee the Furgler shorts offer a ventilated fit with two pouch pockets on the hips and an elasticated and drawstring waistband for a personalised fit. Crafted with quick drying, tear and abrasion free fabrics to deliver durability, this short can also be worn as smart casualwear due to its tailored fit. Reflective strips line the hem for increased visibility in low light conditions. Shorter length for freedom of movement. Durable, stay true materials, for long lasting colour and fit.